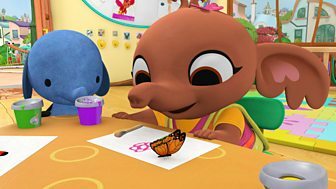 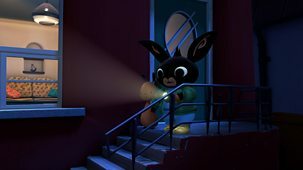 Children's animation. 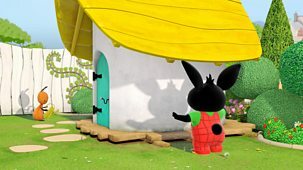 Bing inadvertently pees on his blankie. 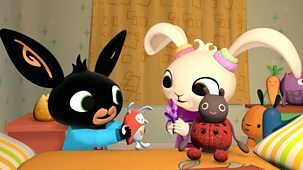 Fortunately his Hoppity Voosh toy has a cape just as soft and huggy, and it even smells just right too. 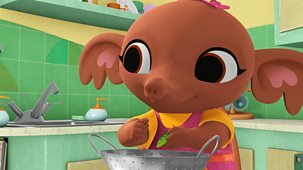 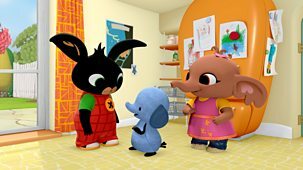 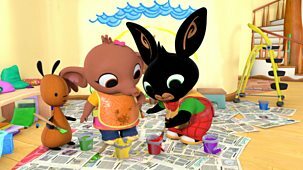 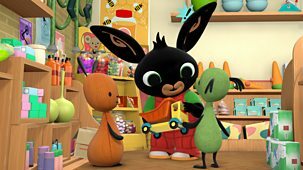 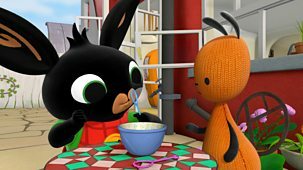 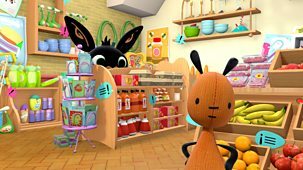 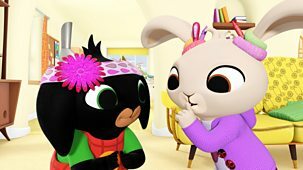 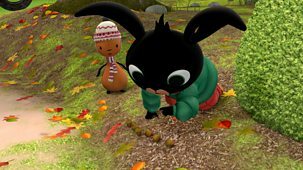 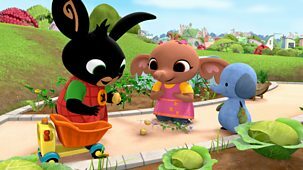 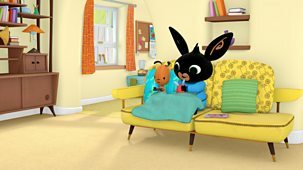 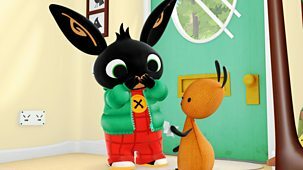 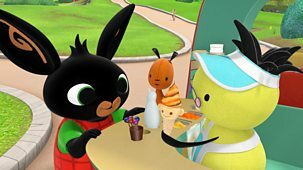 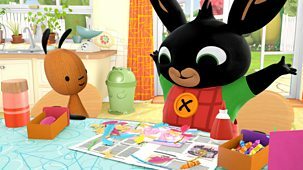 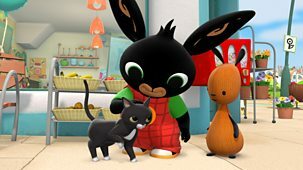 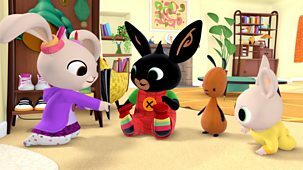 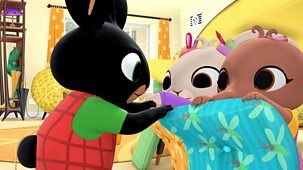 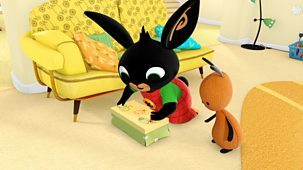 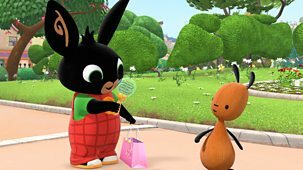 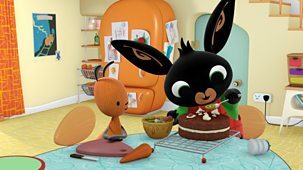 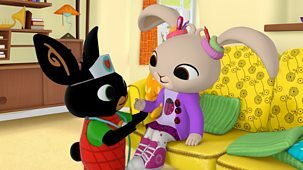 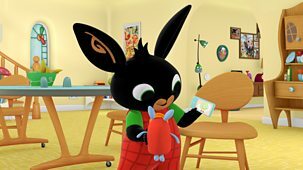 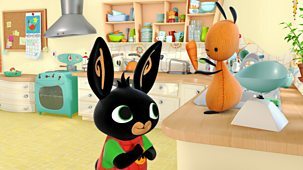 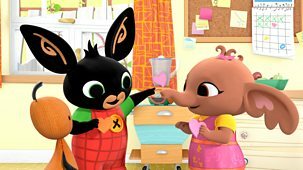 Bing and Flop are making ginger bunny biscuits for Charlie and Coco. 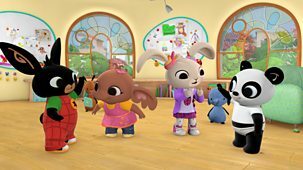 Nobody hears the chickie timer ring to tell them that the biscuits are cooked. 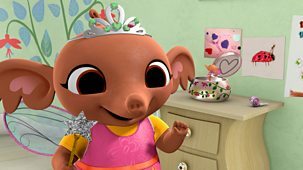 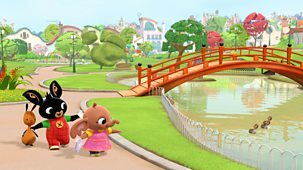 Children's animation series. 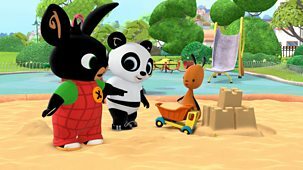 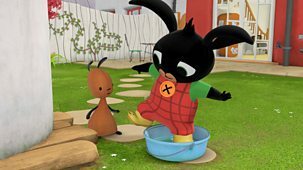 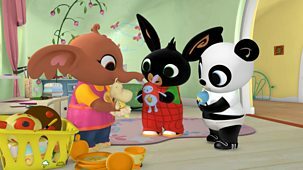 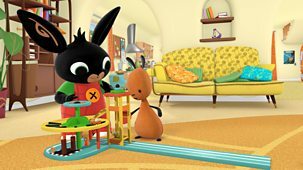 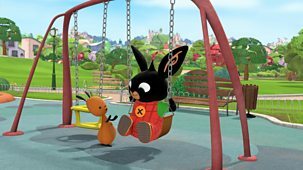 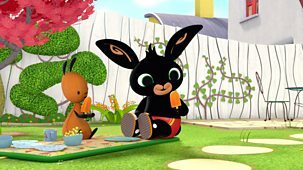 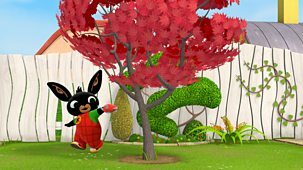 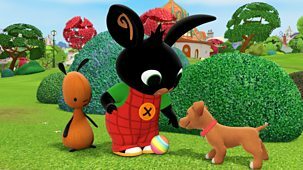 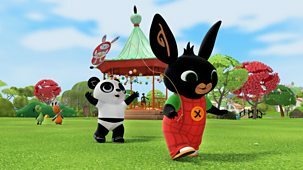 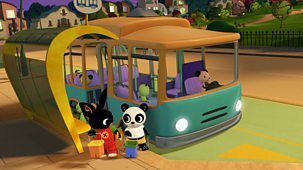 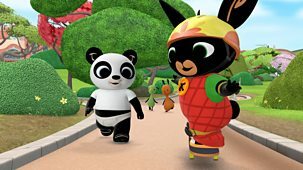 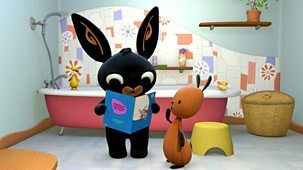 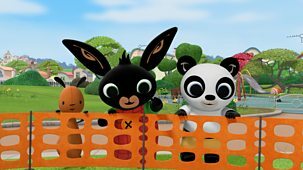 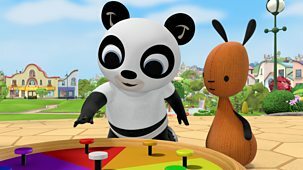 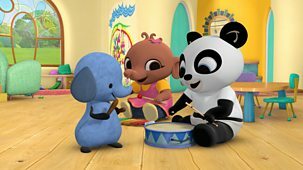 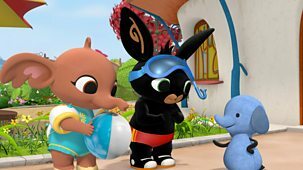 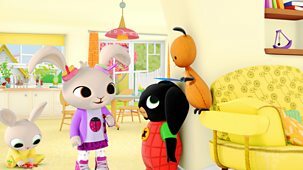 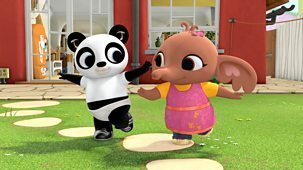 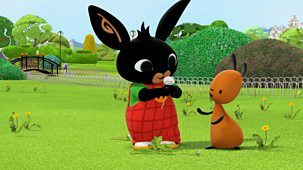 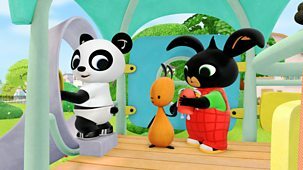 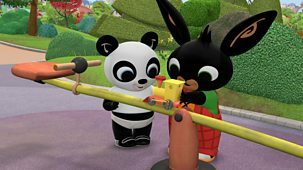 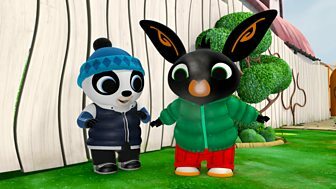 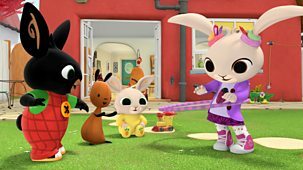 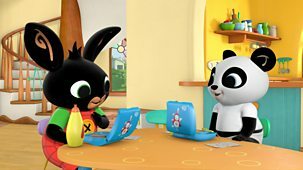 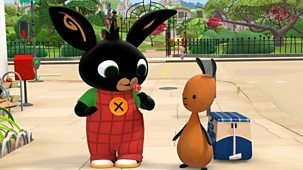 Bing and Pando discover a new climbing frame at the playground but when Bing gets to the top of the slide, it's too scary for him to go down. 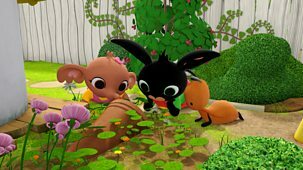 Children's animation series. 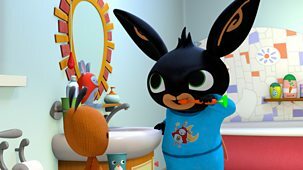 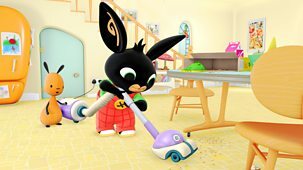 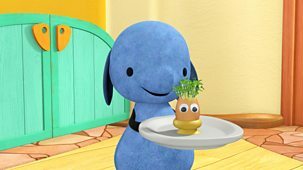 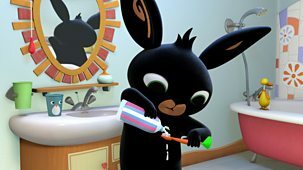 Bing makes a mess at the breakfast table with his toy car, so he helps Flop clean up with the 'voo-voo cleaner'. 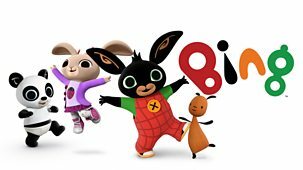 Children's animation series. 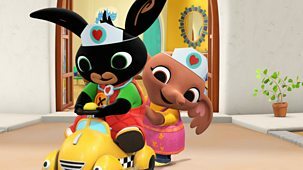 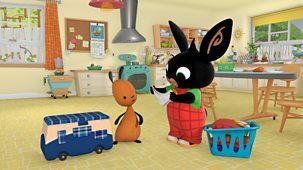 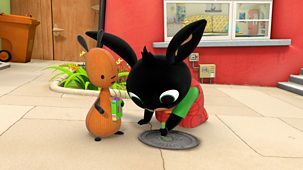 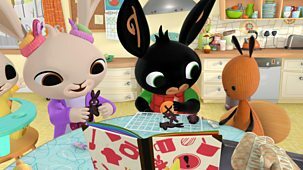 Bing wants to play his car park game with Flop, but Charlie is visiting and keeps messing up the game. 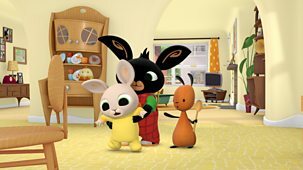 Children's animation series. 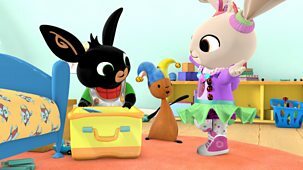 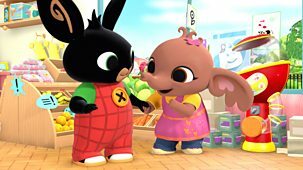 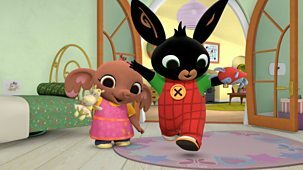 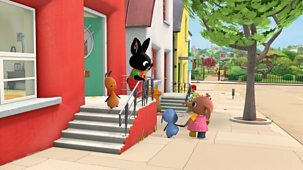 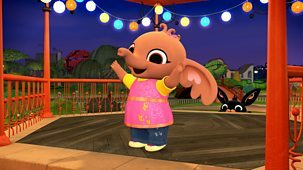 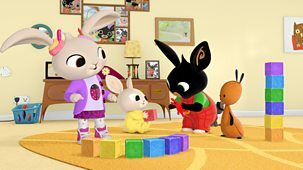 Bing is building a tower as tall as he is with his blocks, and is upset when Coco arrives and hijacks the blocks. 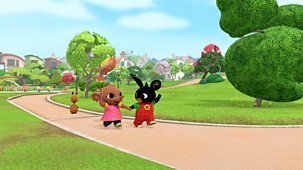 Children's animation series. 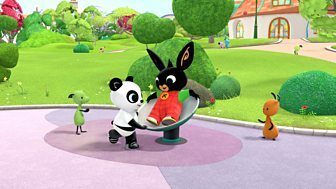 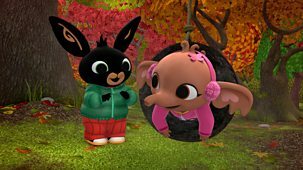 Flop is pushing Bing on the swing in the park when Pando arrives and wants to have a go too.